mMitra is a free mobile voice call service by ARMMAN that sends timed and targeted preventive care information weekly/bi-weekly directly to the phones of the enrolled women through pregnancy and infancy in their chosen language and timeslot. Lack of access to preventive care information is a significant problem underlying the woeful maternal morbidity and mortality numbers. The high mobile penetration in India positions voice calls as an excellent mechanism for reaching women and families with this critical life-saving healthcare information in a timed and targeted manner using the principles of behaviour change Communication. Hospital Vertical – Health workers are posted in the antenatal / postnatal clinics of municipal/government/private hospitals and register women during their first check-up visit. Community Vertical – Enrollment in the slum is done through partner NGOs working in slum communities. Sakhis (community health workers) have been trained who enroll women directly in the early stages of pregnancy for a small incentive. ARMMAN and BabyCenter has developed the messages that have been validated by The Federation of Obstetrics and Gynaecological Society of India (FOGSI) and National Neonatology Forum (NNF). Timed & Targeted: The information in the calls is timed to the stage of the pregnancy or age of the infant and is delivered directly to the women. Chosen Timeslot: The calls are sent in the timeslot chosen by the women. Preferred Language: Women can receive the calls in Hindi, Marathi, Kannada and Gujarati. Repeat Calls: There are three tries for every voice message. Missed Call System: If a woman misses all three calls, she can give a missed call to receive a call back. Call-center: A trained counselor can be informed in case of a delivery, abortion or to change the phone number or timeslot. Customised Malnutrition Programme: 120 additional weekly/monthly customised and automated voice calls on nutrition and steps to prevent malnutrition will be sent to mothers till the child is five.Additionally, mothers of children who have developed SAM (severe acute malnutrition ) will be handheld by trained nutrition counsellors through a total of 20 direct phone calls sent weekly during the 8 weeks of treatment and once every fortnight during the next 6 months of rehabilitation to prevent relapse. One-stop Call Centre: Trained personnel will address health-related queries of expectant mothers/women with children under age five. The call centre personnel will use FAQs created by in-house experts and validated by FOGSI and Indian Academy of Pediatrics (IAP). The midline survey results of the pre-post intervention study in Sion hospital and the end line results of the randomized cluster trial conducted in Osmanabad, Solapur and Washim districts of rural Maharashtra (supported by UKAID) have shown a significant impact. Mentioned below are two important findings. 95.2% women in the intervention group knew the importance of taking IFA tablets for 100 days during pregnancy compared with only 59.2 % in the control group. 52.10% of women in the intervention group took IFA tablets 100 days as compared with 30.44 % in the control group. External evaluation (randomized controlled trial) has been completed by FRHS in Mumbai and the results which are encouraging will be published shortly. ARMMAN won Maternal and Child Health Team of the Year at British Medical Journal Awards South Asia 2018. ARMMAN won the WHO ‘Public Health Champion’ 2017 award in the Innovation Category. ARMMAN received Zee Media’s Transform India 2017 award. mMitra won the GSK-Save the Children Health Innovation Award 2017. mMitra was one of the four awardees in the world and the first Indian NGO to receive this award out of 170 applicants from 40 countries. mMitra won the Silver award for the “Best Use of Mobile for Social & Economic Development” at the Indian Digital Awards 2017 by IAMAI forum. mMitra was a finalist at Vodafone Foundation’s ‘Mobile for Good Awards 2015’. mMitra won the “People’s Choice Award” at “Saving Lives At Birth” event in 2011 organised by USAID, Bill and Melinda Gates Foundation, World Bank, Government of Norway and Grand Challenges, Canada. Swati is responsible for the creation and execution of a resource mobilisation and communication strategy for ARMMAN. She has an experience of over 15 years wearing various hats, including that of a resource mobilization and communication professional in the development sector, working on programmes by Population Services International, UNICEF, UNFPA, The Global Fund, Rotary’s Pulse Polio Committee and NACO. Prior to ARMMAN, she successfully founded an education startup in the ﬁeld of skill-building, working out of the Centre for Innovation Incubation and Entrepreneurship (CIIE) at IIM Ahmedabad. Neha Madhiwalla is the head of the Research Unit at ARMMAN. She has a Masters in Social Work and has been involved in public health research for over 20 years. Her areas of expertise include maternal and child health, health systems, medical education and training and bioethics. 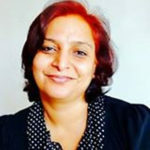 She has worked in Centre for Enquiry in Health and Allied Themes (CEHAT) and Centre for Studies in Ethics and Rights, both affiliated to the Anusandhan Trust, between 1987 and 2013. She worked as Research Scientist at the Ramalingaswami Centre for Equity and Social Determinants of Health, Bangalore in 2016 and 2017. 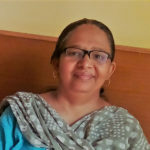 She is also a member of the editorial board of the Indian Journal of Medical Ethics as well as the managing trustee of Chehak Trust, an organisation which has been involved in developing community based models for education, life-skills and disability rehabilitation. George John is Deputy Director – Human Resource and Administration at ARMMAN. George is a post graduate in HR from Mumbai. 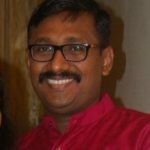 He has about 14 years of work experience across Future Group, Tech Mahindra and various IT companies. He has worked as a consultant for startups, contributing in setting up processes and talent management. He loves to travel and enjoys sketching in his free time. 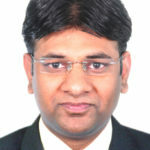 Dr. Rajnish Gourh is Director – Operations & Monitoring at ARMMAN. He has a master’s degree in Public Health as well as Business Management(Health & Hospital), and has worked with Impact India Foundation, for Lifeline Express, SEARCH Gadchiroli and other esteemed organisations. He is a member of the Lancet Commission on Global Surgery and Ethics Committee of Indian Dental Association. He is a visiting faculty at Tata Institute of Social Sciences and DY Patil University. He loves traveling and reading history and socioeconomic development books. Usha Varma heads the Finance Department at ARMMAN. She holds a post graduate diploma in finance management (PGDFM) from Mumbai University and has completed the Intermediate stage of the Chartered Accountancy course from Institute of Chartered Accountants of India. She is a commerce graduate, specialising in accounts & audit, from SNDT University. Usha brings in more than 25 years of work experience with specialisation in FCRA compliances, budget preparation, financial reports, MIS, HR and financial policies, auditing and finalisation of accounts. Usha has an LLM in Personal Law and Law of Crime from Mumbai University. She loves to keep herself updated by reading up on books and the latest news in the field of law and accounts. 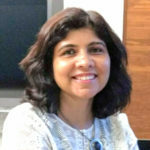 Ritu Jain Gaurav is the Chief Technology Officer at ARMMAN. She has over 20 years of hands-on Project Management experience with US and European MNCs as well as SMEs and her own start-up. 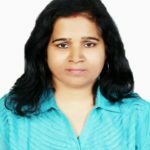 She has completed her Masters in Technology from IIT-Roorkee and is a certified Project Manager (PMP), Agile Practitioner (PMI-ACP), Digital Transformation Consultant, and Android App developer/trainer. She is an Engineer with keen interest in Technology, especially IOT, Mobile/Web Applications, Data Analytics and Big Data. Her passions include implementing technology-based solutions with a specific focus on improving the productivity, efficiency and day to day lives of people. Carlyle Pereira is the Chief Program Officer at ARMMAN. He has completed his Bachelor In Social Work from Nitmala Niketan, and Masters in Medical and Psychiatric Social Work from Tata Institute of Social Sciences. He was introduced to the development sector as a volunteer at the age of 16 and has been associated with the sector for over two decades. He is passionate about technology and has worked with the Ministry of Social Justice and Empowerment & Ministry of Women and Child Development Govt. of India and their respective counterparts in the Maldives and Egypt implementing telecom solutions for social development. 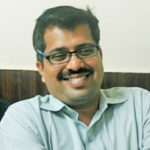 He has been part of DP (Development Plan) Advisory Committee – Health for Mumbai City. His interests include evolutionary biology and astronomy. 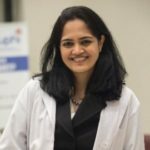 Dr. Aparna Hedge holds MD (Mumbai University), DNB, FCPS, DGO degrees in Obstetrics and Gynecology and a MS degree in biological sciences from Stanford University. She was awarded the IUGA International Fellowship in Urogynecology and Pelvic Reconstructive Surgery which she completed in Cleveland Clinic Florida. She is a member of the Editorial Board of International Urogynecology Journal and the International Urogynecology Committee on prolapse. She is an internationally recognized pioneer in the field of 2D/3D ultrasound of the pelvic floor. She has won several research awards including best paper award at the 2013 American Urogynecology Society annual meeting and has 75 publications/abstracts. 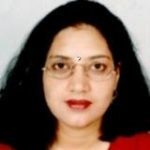 Geetanjali is the Chief Executive Officer at ARMMAN. She has a Masters in Social Work and an LLM in Human Rights and Criminal Law. She started her career as an HR professional with National Thermal Power Corporation but made a shift to non-profits more than a decade ago. She has served in leadership roles at CHILDLINE India Foundation, Concern India Foundation, and Secure Giving and has been involved with ARMMAN in various capacities since 2014. She is also on the Executive Board of FMCH (the Foundation for Mother and Child Health) and Apnalaya.